Chinchillas love to chew, and they especially love to chew wood, which helps keep their constantly- growing teeth trimmed and sharp. But not all woods are good for your chinchilla, and some woods are even toxic. Even if you choose a wood labeled as safe, such as from seed-bearing fruit trees, including apple, pear, and hazelnut, make sure that you are giving your pet the real thing and not wood that has been treated, glued or painted. Avoid branches from cherry, citrus fruit trees, redwood, cedar, and other evergreen trees.Do not use particle board, plywood or other treated materials They are toxic to your chinchilla. Once you've found your wood, you want to make sure your chinchilla can handle it. Break up the wood or twigs into pie4ces of no more than 5 inches. Any more than that and your pet might struggle to get a grip on it. A word of warning about lichen If you can see it on your wood, don't use it for your pe. No matter how much scrubbing or boiling you do, the lichens permeate the wood and you won't get it out. Once the sticks are clean, spread them out evenly on a towel and allow them to air dry. An optional step once the sticks are completely dry is to place the sticks on a flat, foil-lined cookie sheet and heat them in the oven. 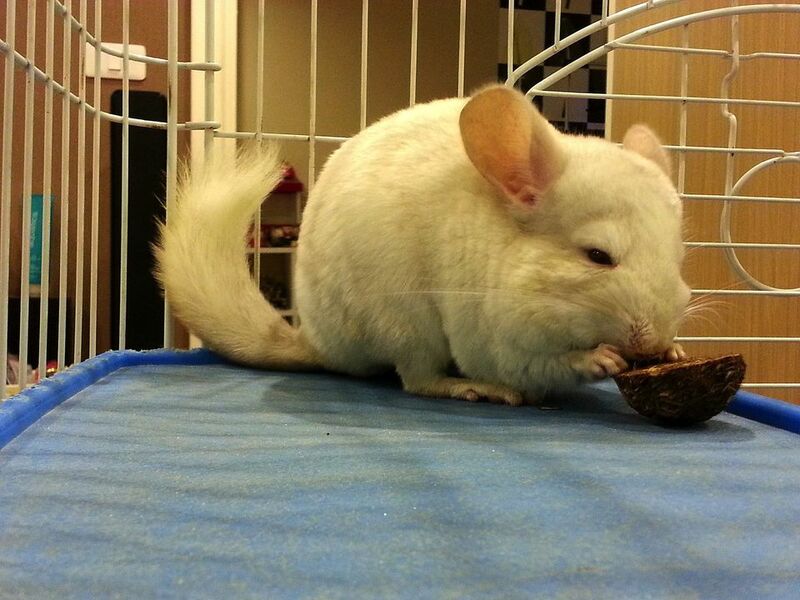 As for how much wood to give your chinchilla, the amount is up to you and your pet. He'll happily chew as much wood as you give him. You don't have to be a DIYer. A number of safe-wood toys for your chinchilla are available at pet stores, retailers, and online. Be wary, though. You want to ensure that the wood type you buy is among the safe woods for your pet. Many bird perches are made of manzanita, but before you buy one, look at the packaging to make sure it hasn't been treated. Also, avoid any store-bought toys containing plastic. You don't want your pet to chew beads or other baubles.